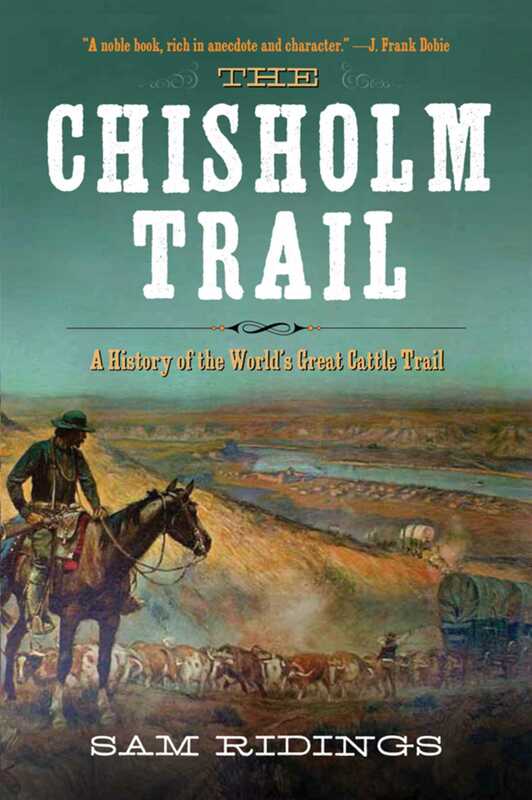 This frontier classic is one of the best books written about the world’s greatest cattle trail, the Chisholm Trail, a trail that was approximately eight hundred miles long, running from San Antonio, Texas to Abilene, Kansas. It is a comprehensive book about the cattle drives of our western frontier and the interesting characters associated with them. Such characters include Charles Goodnight, Charles A. Siringo, Joseph G. McCoy and various Indian Chiefs and gunslingers. After the Civil War, many cattlemen saw that there was money to be made in moving cattle northward. Joseph G. McCoy built shipping pens at Abilene, which became known as the terminating point of the Chisholm Trail. When the trial was most active, millions of cattle and mustang accompanied their drivers on the two to three month journey that it took to travel across. This book is the story of those cattle and their drivers, who fought through Indian ambushes, stampedes and cattle rustlers.